In the menu [My Account] > [Settings] > [Email Legal Notice] you can edit the default legal notice and others (if e.g. you need to mention different locations for your email campaigns). The fields are named accordingly and only need to be filled. 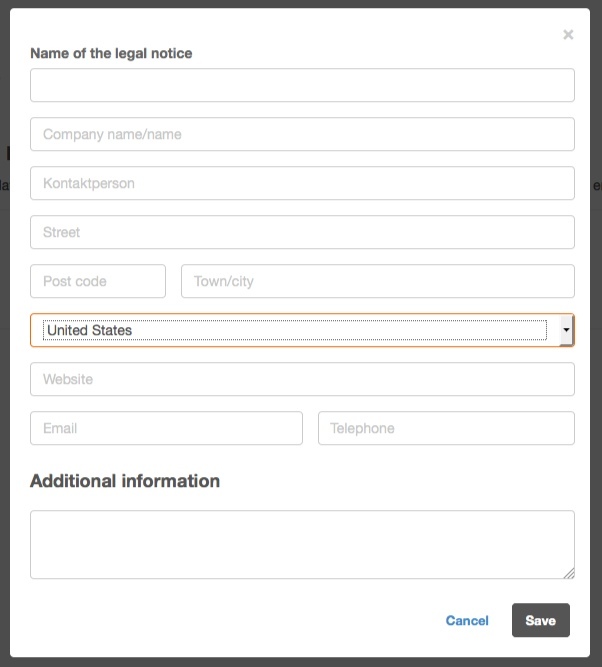 In the CleverReach templates the legal notice information will always be shown when you select the template. You can leave the item legal completely empty and use the field additional information to add custom information. How do I change the legal notice in a form?